Inspired by the sword of the legendary warrior king Richard I of England, the Richard the Lionheart Sword is an ornately decorated take on the royal weapon. A Lionheart coat of arms appears at the center of the silver tone guard. 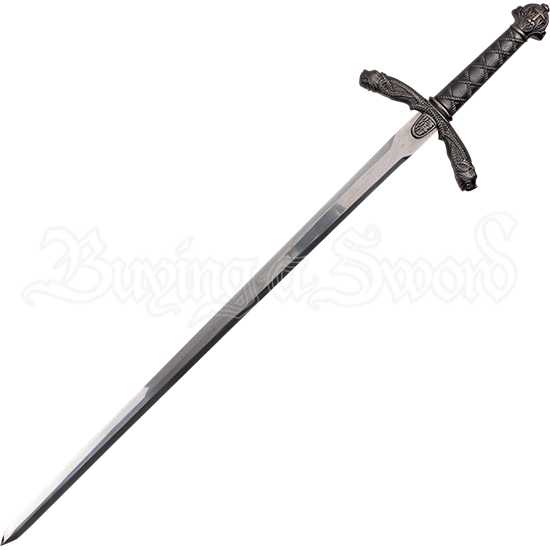 The blade of this decorative sword is made of stainless steel, and the hilt and sheath are finished with an antique silver coloration. Beneath the Lionheart coat of arms, the arms of the guard angle slightly towards the blade, their ends detailed to resemble the heads of ferocious medieval beasts. The grip is metal but has been crafted to look as though it features a crisscrossed cord around its length. A cross, surrounded by ornate detail, decorates the rounded pommel. 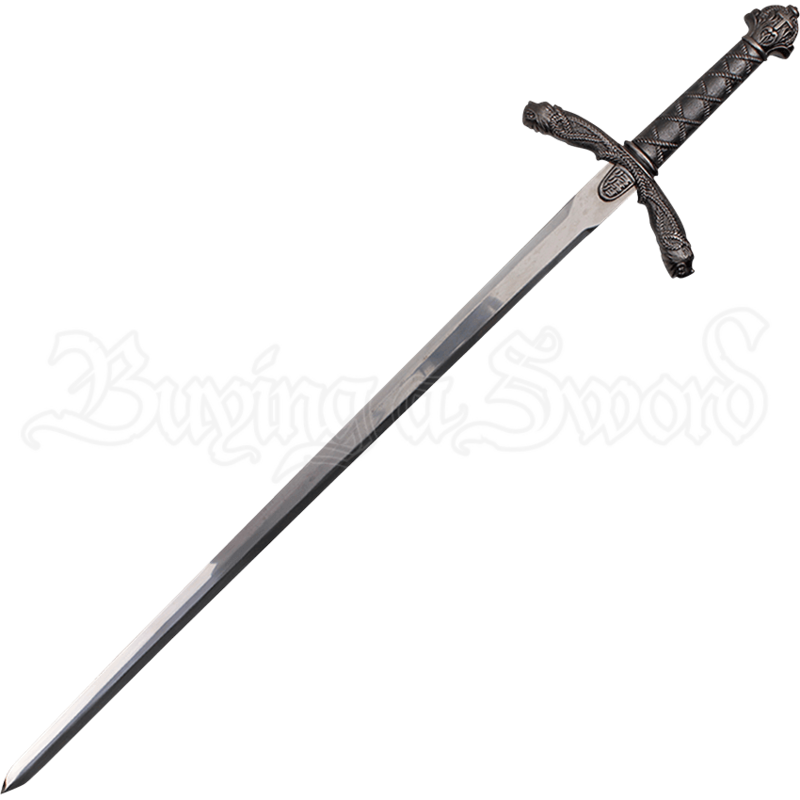 With an included black wooden sheath adorned with matching metallic throat and endcap, this decorative historic sword is ready to accentuate medieval home decor or spark intrigue as part of a weapons collection.